"New Store opens in Solihull" A great write-up of our Strawberry Tea Party launch event, celebrating the opening of our larger, more fabulous store in Solihull. Click the pages below to see a larger version! 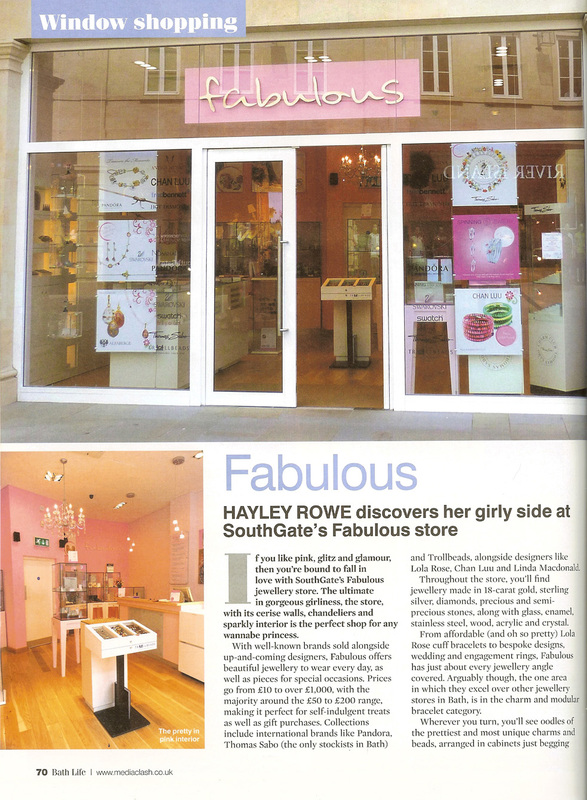 "Hayley Rowe discovers her girly side at SouthGate's Fabulous store." An in-depth look at our latest store, in SouthGate Bath. 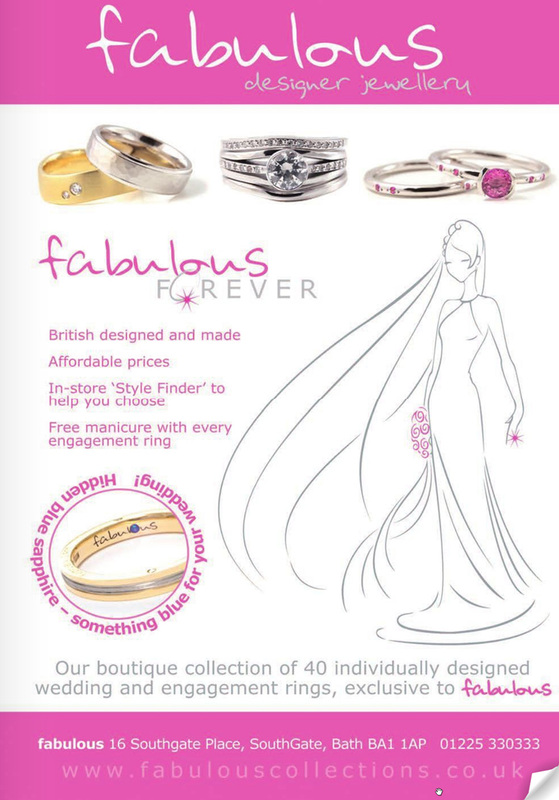 Fabulous Forever, our boutique collection of wedding and engagement rings, is featured in Bath Scene Magazine this month! Read all about the collections and the thoughtful touches we've included. Jo is featured in Image Magazine's regular 'At Home' feature. The three page interview with Jo at her home explores her background and the secrets of her fabulous success! Fabulous owner, Jo Stroud, is asked to appear in the 'Fashion under £50' article in national women's magazine, She. Jo wears jewellery from Fabulous - by Lola Rose and Antica Murrina Venezia - proving that designer jewellery does not have to be expensive to look fabulous! The opening of the second Fabulous jewellery boutique is covered by Live 24/7, with owner Jo Stroud pictured at the launch party, with the Marco Bicego collection. The new Fabulous jewellery boutique is profiled by Live 24/7, with perfect jewellery for Christmas featured. 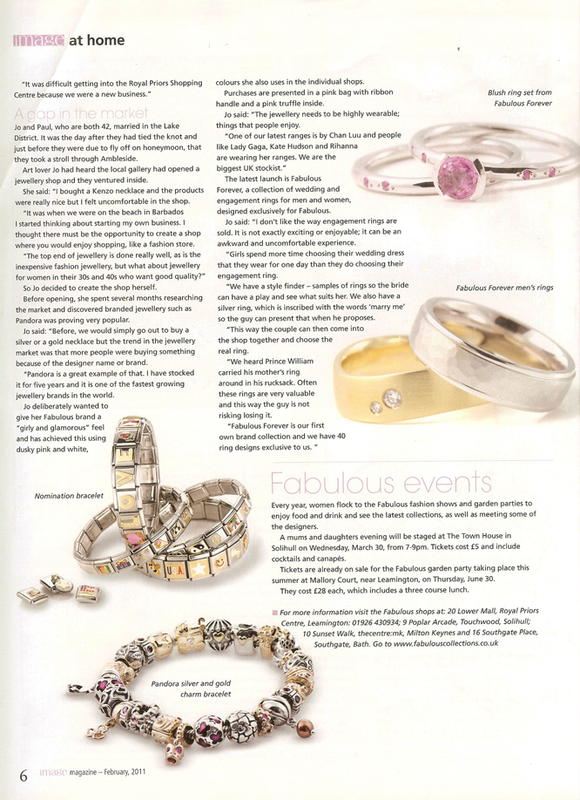 Jewellery from Fabulous is featured for Christmas, including a stunning ring by Scottish designer Alicia MacInnes. The opening of the second Fabulous jewellery boutique is covered by Totally Society, with happy customers offering a toast. Customers enjoying the launch celebrations. 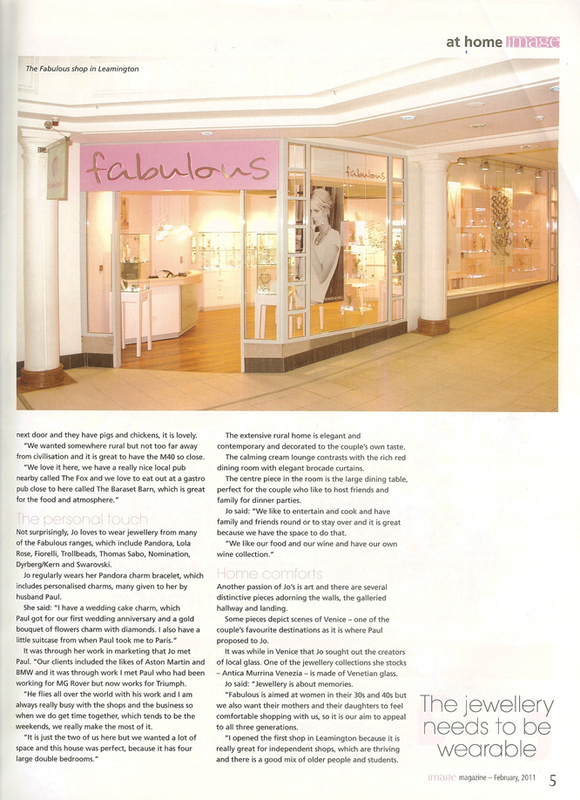 The second Fabulous boutique - in Touchwood - is shown in the article. More customers enjoying the launch celebrations, as over 100 people join Jo and Paul Stroud for the launch of their second shop. Profile of Jo Stroud as the second Fabulous boutique is announced. 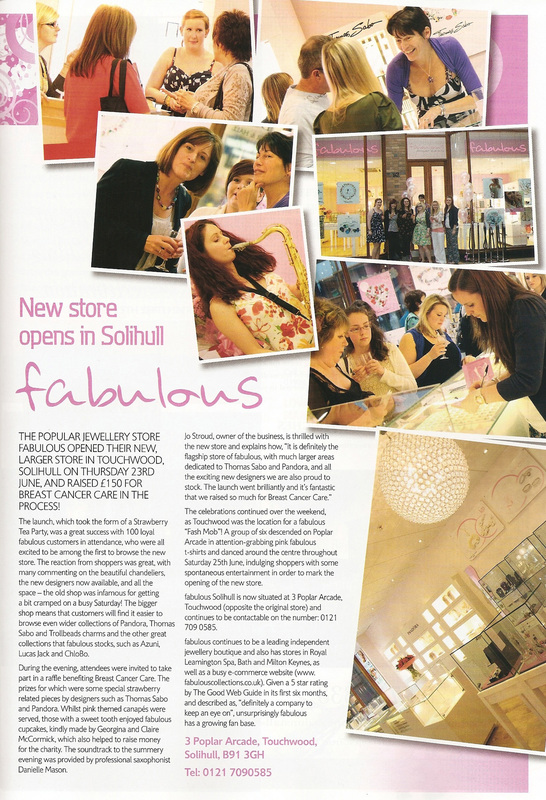 The local paper profiles Jo Stroud as Fabulous celebrates the continued success of its award-winnign website and first shop in Leamington Spa, by opening a second shop in Touchwood Solihull. Warwickshire Life profiles Jo Stroud as Fabulous holds its first Summer Garden Party, and announces plans for a second shop. The first Fabulous Party is a sell-out, with delighted guests thrilled with the chance to meet leading designers Alex Monroe, Anna Lou, Linda Macdonald and many more. Warwickshire Life picks a selection of Dower & Hall pieces from Fabulous. 'Shop of The Week', says The Times, in The Magazine. 'Enter the dazzling world of Fabulous, Leamington Spa's unapologetically glamorous jewellery shop. Prices range from £25 to £1000 and include designers such as Christian Lacroix, John Rocha and the contemporary designs of Dyrberg Kern. 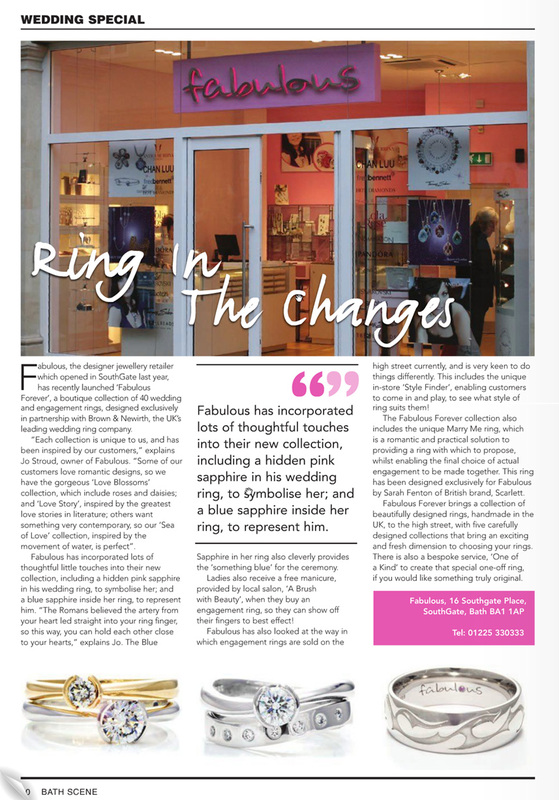 Jo Stroud explains why she chose Leamington Spa to open the first Fabulous designer jewellery shop. Jo Stroud's attendance at David Beckham's World Cup Party makes the paper! 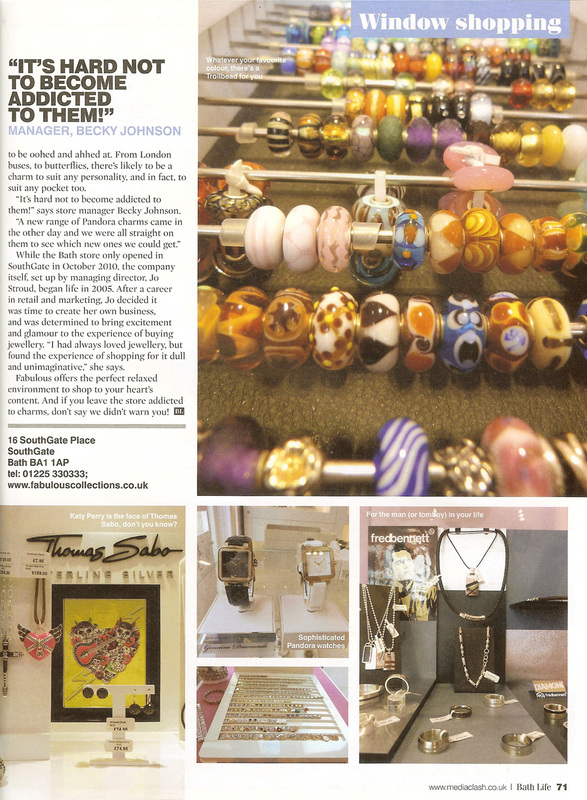 Jo Stroud is profiled as Fabulous goes into its first Christmas with a shop full of great jewellery for Christmas parties and presents. Fabulous is a Regional Winner for The Midlands in the Sky News/HSBC 'Start up Stars' Business Awards. Fabulous Launches in Royal Leamington Spa. The opening of the first Fabulous jewellery boutique is covered in the county pages, with a picture of Jo and Paul Stroud with the team.